So, normally I would have posted a Menu Monday yesterday. Hmmm.... Okay, I just couldn't keep up the facade this week. Fact is, I'm not cooking this week. 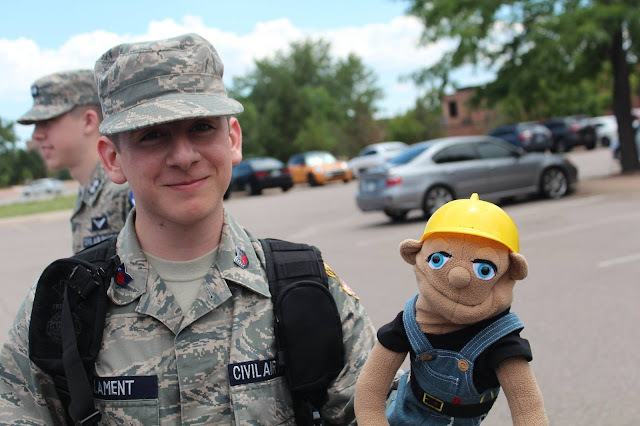 The lad got back from his Civil Air Patrol trip to Space Command Familiarization Course on Sunday night... with a puppet! I, meanwhile, have been recovering from foot surgery, which is why I am not cooking and not meal planning. Hubby just put together a very loose idea of what the guys would eat (Chinese, hot dogs, chili from the freezer, etc.). Rather than be stressed trying to put together a Menu Monday blog entry about it, I decided to just skip it. While recuperating I finished a knitted baby hat to donate to my favorite charity, Online Angels (in Pottsville, PA). So son and I are working this week on his college applications. He's going to do the IEW SAT Essay Intensive (from High School Essay Intensive), and he's working on math review. and The Everyday Family Chore System. So that's about it for my current update. What's going on in your home this summer? Back in June I learned we had a new review opportunity coming up with Doctor Aviation. 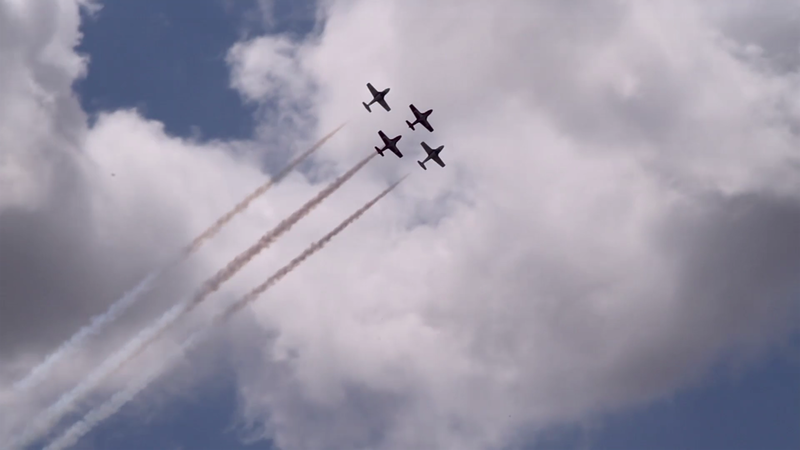 Select members of the Homeschool Review Crew received access to a six-month online aviation course. 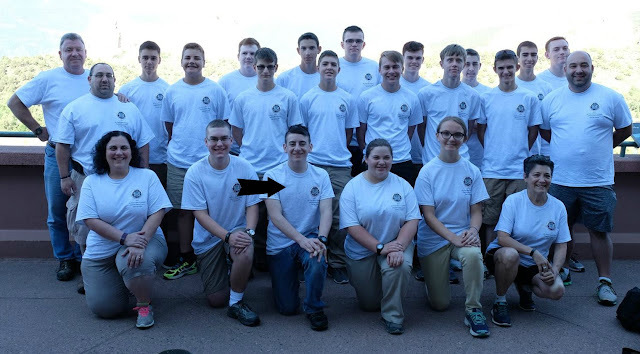 My almost-adult son and my husband are both in Civil Air Patrol. I myself am committed to lifelong learning. This course has been such a good fit for us. From the moment my son saw the introductory videos available on the Doctor Aviation website, he wanted access to the course. My husband, likewise. When we first received access to the course, my son had just started a dual enrollment college course and was too consumed by his one-month course to watch videos with his father and I. I gave him access to the course (emailed the log in information to him) and moved on. He is studying the material at this own speed. My husband was interested in viewing the videos together with me. After some procrastination (I won't say whom...), we got started watching a video a week together. That lasted two weeks. The third week came and went, and my husband wasn't making time for the course, so I finally watched the third session alone, the fifth week of having course access. I am trying to stick to one session per week. "The backbone of the course is the videos. When you begin a new lesson start by watching the video. During the video jot notes on the sheet provided. Following the video you will find action steps to learn more, questions to ponder, and additional resources that are all designed to help you dig deeper into the material. For those taking the course for credit we provide exams and answer keys." The course includes a huge PDF download component (which I had occasionally heard the instructor reference, but I hadn't seen). Now that I've seen them I want to go back and redo Sessions 1 and 2, but knew I didn't have time to do it before my review was due to be posted here. So let me tell you about the Doctor Aviation online aviation course. First, Doctor Aviation, Daryl Smith, is a graduate of the United States Air Force Academy, and has had extensive pilot training. 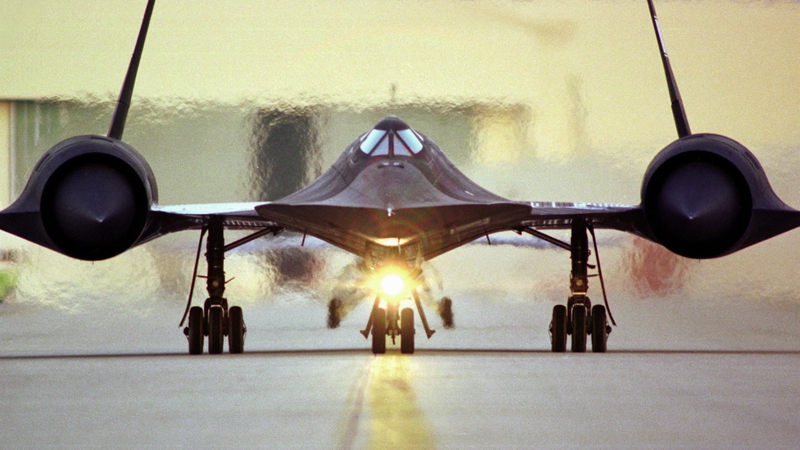 He piloted different aircraft in the USAF for over 20 years. He received more training, and then served two tours teaching at the Air Force Academy. He is a published author as well. I don't want to bore you -- all that information is available on the Session 1 video that is available for free on the website. I did, however, consider it important to mention that information. 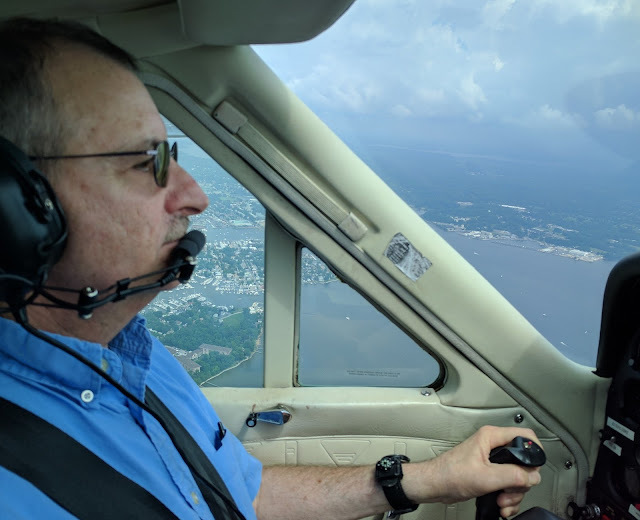 Since beginning this course in June, my Civil Air Patrol husband has had his first flying lesson. How cool is that? By the way, my husband says that for a pilot, that "Technical 'Trivia'" section is anything BUT 'trivia'! To a pilot the information mentioned in this section is vitally important! Life and death! 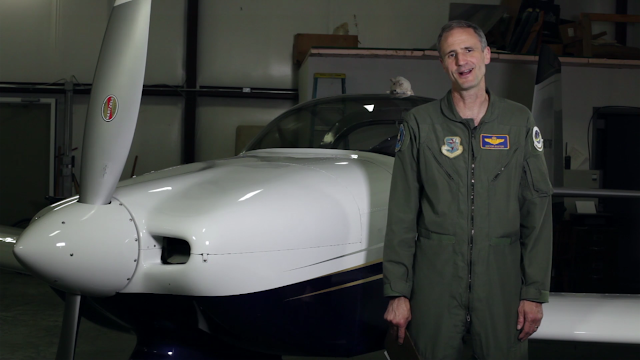 For an aspiring pilot, the technical section is the main section that interests him. The other sections are interesting, but not worth the time he has to invest right now. My busy son finished his summer course with a stellar grade and has now flown to the mid-west to participate in the Air Force Space Command Familiarization course. So he is busy, still learning about aviation, but still with little time to work on Doctor Aviation with us. As I said, we are now each working on this course independently of each other. You can do this with access to this course. You are allowed to share one login between as many family members as you need to. Each member keeps track of which session he needs to watch next. You can watch each session as many times as you want to. Now, a little more about the course. Following the course one Session per week, a student can complete the course in 15 weeks, which is about four months or one semester, and would be worth 1/2 high school credit if the student does a bit more than just watch the videos (some reading, some writing assignments, tests). Tests are included in the material provided in the PDF downloads. A creative teacher would be able to stretch this out to be worth one credit. So many of the options on "To Learn More" have great in-depth options. And Daryl Smith is compelling! 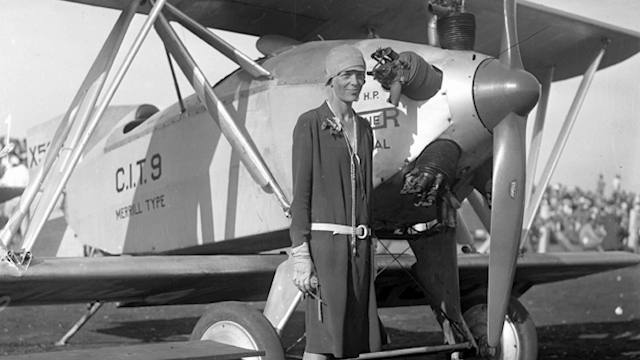 I now WANT to read the recommended biographies about the Wright Brothers, Chuck Yeager and Amelia Earhart. I have a better understanding of what creates lift. I'm looking forward to continuing the course. 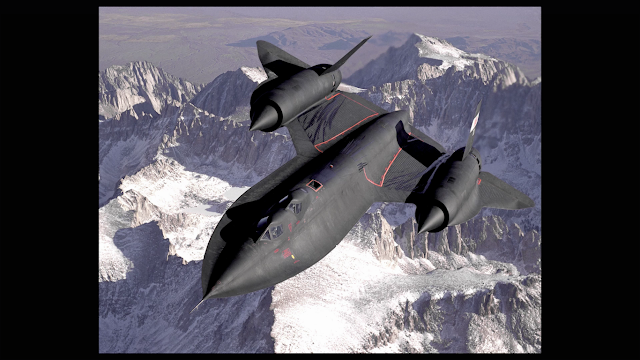 I have also really enjoyed learning about a lot of planes that were built by Lockheed. My husband worked for Lockheed for 27 years! First, each video section should just be called a "Lesson". The whole "section", "lesson" and "session" thing is very confusing. It should just be "Section"s and "Lesson"s.
Second, it would be very helpful if the download pages were numbered. It can be very confusing when you print out seven pages of Guided Notes and three pages of To Learn More, and they get jumbled. I double-side my printed pages, and sometimes can't tell which side goes "up". If someone in your family has an interest in aviation, I highly recommend this course. My opinion is that the material presented is at a very high learning level. You might be able to use the material with younger students and locate elementary biographies, and do it again with those students six years later! Other members of the Homeschool Review Crew also reviewed Doctor Aviation. To read more reviews, please click on the button below. I'm always looking for good films I can watch with my hubby, so I was delighted when I learned Mapelle Films had a movie for us to review, I volunteered! I received Trust Fund to review. I also received the book Love Was Near to read after watching the movie. 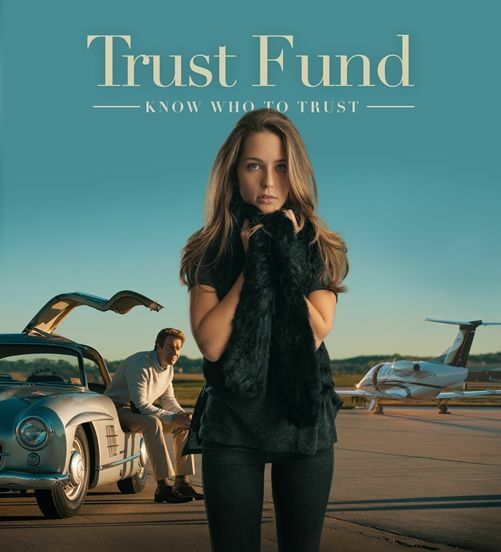 Trust Fund was an interesting movie. The story line revolves around a family with two young adult sisters and their dad. The mom passed away a number of years previously, and the family still struggles to deal with the loss. The family business, a publishing company, was started by the mom and dad, and since mom's death dad has been running the company. The older sister, Audrey, also works for the company. As the story begins, Reese, has been in Italy and is returning home. She was sent to Italy by her dad to attend a six-week writers' workshop. During that time, though, she had opted to skip out on the workshop and instead spend the time with a new Italian boy friend, Milo, to "see the country". As Reese returns home she is in a quandary. She has spent the money she received as an advance for the book she started writing, which she has done no more work on. Writer's block. She had lied to her father and doesn't care; she misses Milo. Her bank account is overdrawn, and she doesn't know what to do. She finally agrees to work for the family publishing company, and basically isn't happy with her situation. When seriously snooping in her dad's office, she uncovers a document that causes her further fodder for her discontent. Then when an "opportunity" surfaces to do some serious white-collar crime, she makes a very bad decision and gets into a situation that she feels she can't return from. She flees back to Italy, to Milo. The story is reminiscent of the Bible story Jesus told of the prodigal son. Audrey is the good child who stays at home, doing the bidding of her father. Reese is the prodigal who takes her "inheritance" and flees, and then squanders all the money. It is a very good movie, and I did enjoy it. My husband thought the plot was a little too predictable. Most families experience a prodigal at some point, so the story line might hit home for many. However, there are ways in which the story won't fit many families. Personally I have difficulty relating to a movie discussing a $10 million Trust Fund for the sisters. Seriously, I wouldn't really be able to wrap my mind around a $1 million trust fund! I also did not share this movie with my adult daughter. When you watch this movie, you immediately put yourself in Reese's position, seeing things through her eyes. My daughter doesn't want to think about her mother dead. And there is also that "prodigal" issue -- the movie wraps things up nicely, but our family prodigal is not so nicely wrapped up!... And I don't think this movie would interest my almost-adult son. I'll offer it to him, but he hasn't watched it for purposes of this review, and he is currently out of town. This movie/book set makes a good study that can be done between a mom and daughter. Also, Mapelle Films has designed a download study guide for small groups to dig deeper into the themes of the movie! 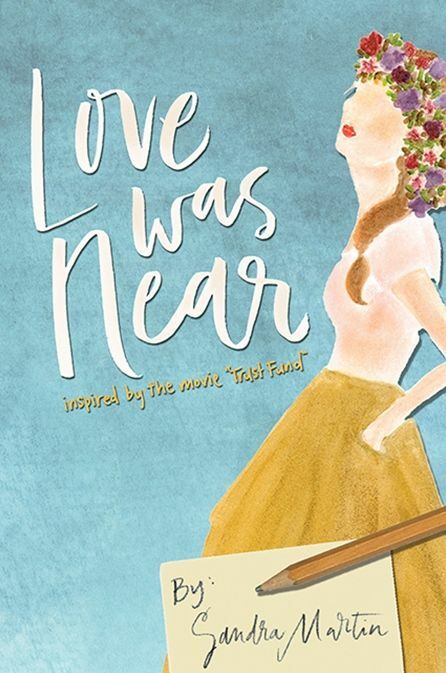 After viewing Trust Fund, it was fun to be able to read Love Was Near. The concept is that this is the book that Reese finally eventually got published in the movie. I had it sitting by my chair, and my husband saw it. "Hey! Isn't that the... That's the book in the movie, isn't it?!" That was fun! Love Was Near is light and airy and easy to read. It targets a young adult audience. It is broken down into very manageable segments with questions and room for the reader to write answers and journal. It is written like a diary the author expects someone to read. It ends with a sweet resolution where Reese comes to recognize a steady patient love who has been waiting for her, loving her, for years. It is very sweet. That part my daughter might enjoy, because her own love story resembled Reese's in some respects in regard to her own journey. I highly recommend Trust Fund and Love Was Near. I do recommend previewing and prereading, if you know your situation would merit such. I think my daughter might like to watch the movie and read the book, but not WITH mom. Then it might be easier to view it with her brain in a 3rd person perspective. Go to the above links and read more. Other members of the Homeschool Review Crew also reviewed these items, and you can read more reviews by clicking the button below. This week is really weird... The lad is gone all week with a Civil Air Patrol program in a state in the mid-west. I am following Jenny Craig, eating their meals. So, after conversation, we decided hubby would figure out his own meals. He has not given me a plan. 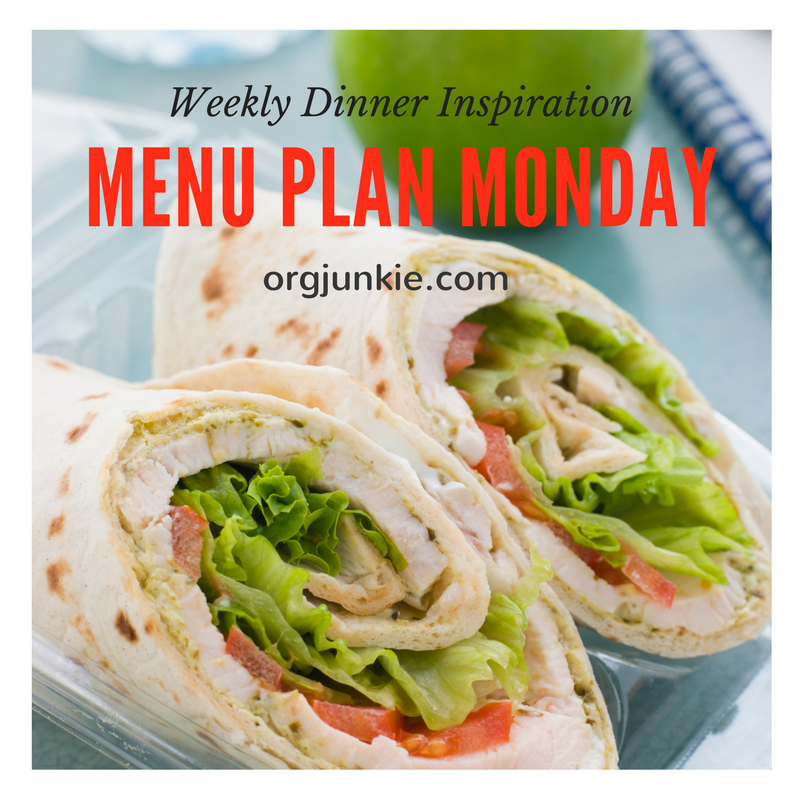 Basically, I have no menu plan this week. Running late again. Don't even have a really good excuse - well, maybe it IS a good excuse to say I had a lot to do yesterday. I already had the menu planned; I just didn't get it posted. Summer. Another light week for us. Sunday night both my guys were out of town, and I ate Jenny Craig food. We had agreed in advance that the guys would eat pizza when they got home Monday at dinner time. I'm cooking Tuesday, Wednesday and Thursday, but then Friday the lad leaves for ten days for a Civil Air Patrol summer program, Air Force Space Command Familiarization program, and it is just me and the hubby, and I'm eating Jenny Craig. Cooking for one, and not eating what I cook - it makes me feel like it is an old drug store diner counter... Anyway, here's this week's plan. This week is a very different type of week for us. First of all, of course, Tuesday is Independence Day for those of us in the United States. I myself am eating Jenny Craig food for dinners right now, trying to reach a weight goal. So Tuesday is weird because hubby is flying a Civil Air Patrol mission at dinnertime and won't eat at home. So my son will eat leftovers that night. Then another night my son won't be home, and my hubby will leftovers. And one night we will eat out. So out of seven nights, this week I will only show plans for cooking four nights. For me that's a really weird week.